Matthew Henrt Cochrane went into business as a shoe-maker in Montréal, having learned the trade in Boston, Massachusetts, which was the cradle of this industry at the time. Mr. Cochrane was a prosperous and energetic businessman. He formed a partnership with Samuel Greeley Smith, founding the Smith, Cochrane & Company Shoe Manufacturing factory. Having headed up this company for some 20 years, he invested his profits into a large property in Compton. Around the year 1870, he acquired a large herd of pure-bred cattle from Great Britain He brought to fruition his dream of raising and putting on the market a pedigree herd. 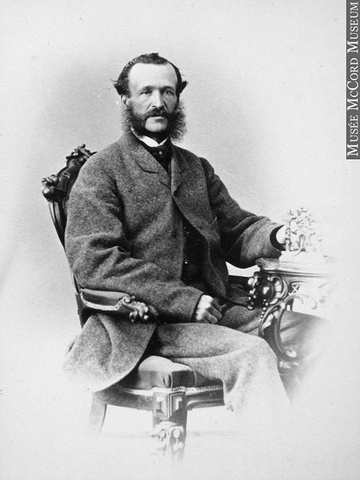 About 1880, he founded the Cochrane Ranch Company which became the second largest of its kind in Canada. He also went into business in Alberta, purchasing a large ranch there. Mr. Cochrane was a man of many talents. He became the head of a large number of industrial and enterprises and railroads. Notably, he was the Vice-President of the Eastern Townships Bank, and he was in contact with many politicians and members of the Canadian Senate. Herbert Dudley Smith was a gentleman-farmer, born in Compton in 1867. 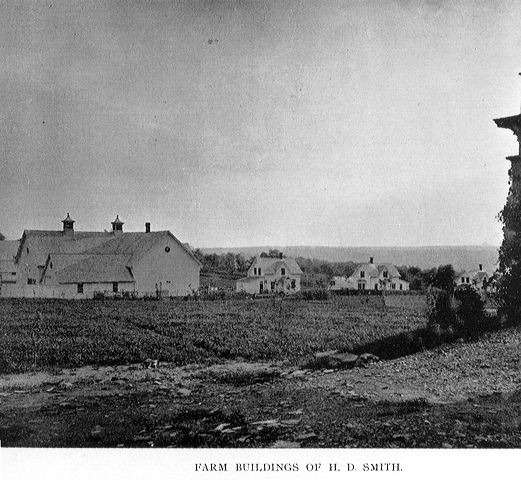 In 1808, his grandfather settled on land which became known as the Ingleside Farm, and which was passed on from generation to generation. 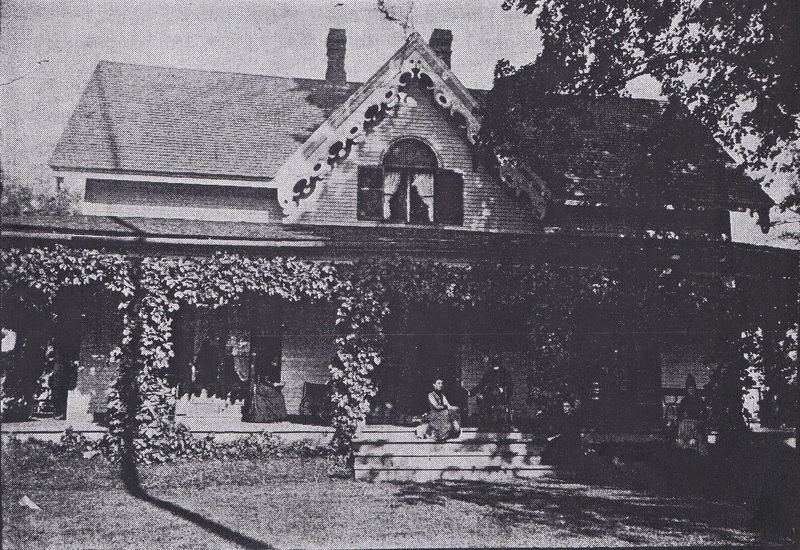 The Ingleside Farm was a property of 920 acres. 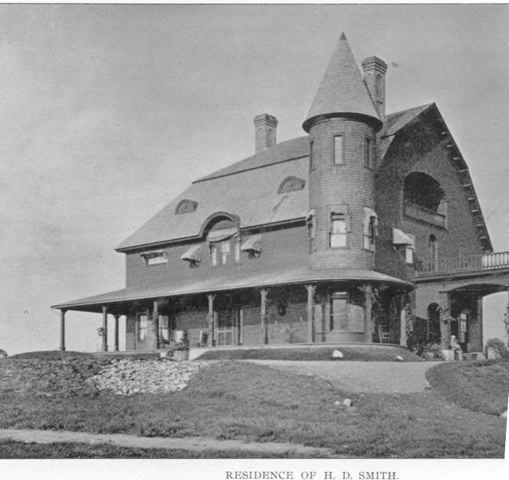 Here you can see the Smith residence which was the farmhouse. It was powered by electricity from a private powerhouse. 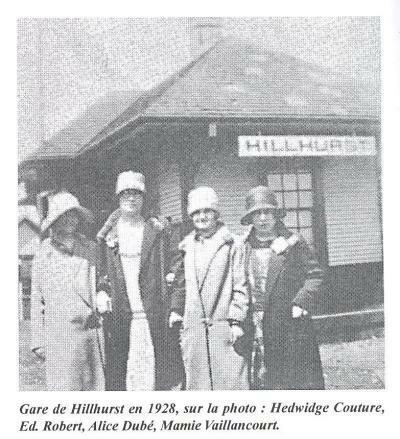 With the capital he acquired from his Montréal shoe factory, Mr. Cochrane purchased the Hillside Farm, which grew to more than 1,000 acres. He employed about 40 people. The farm had on it a large number of buildings, including a dairy for making cheese. He also had installed a race-track for his horses. Matthew Cochrane held shares in the Grand Trunk Railway. This enabled him to have the railway run through his ranch, Hillcrest. He had the railway station and its appurtenances built on site. 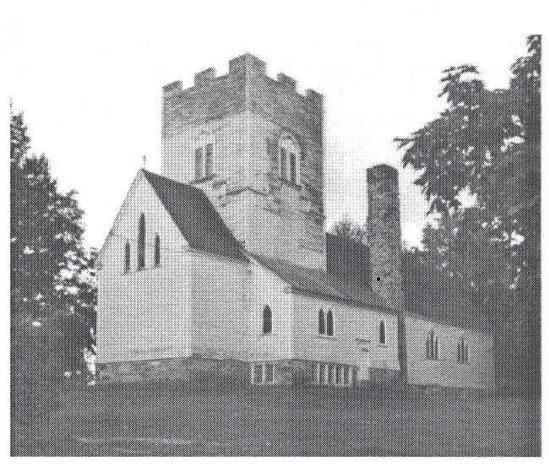 It was destroyed by fire in 1915 but was rebuilt in 1916. It again was destroyed by fire in 1920 and rebuilt the same year. It was finally demolished in 1945. The second St. James's the Less Church was built in 1887 and was dedicated on 4th September of that year. Built at a cost of $3,000, the parishioners' share was just $1,000 - Mr. Cochrane having donated $2,000. Mr. Cochrane died on 12th August 1903, and is interred in the St. James' cemetery. Matthew Cochrane was born on November 11, 1823 at Compton and died here on August 12, 1903. His parents were James Cochrane and Mary Lynch. His father was an immigrant farmer from Ireland. Matthew was the fourth child of a family of five. He married Maria Whitney in 1849, and they had nine children, three boys and six girls. 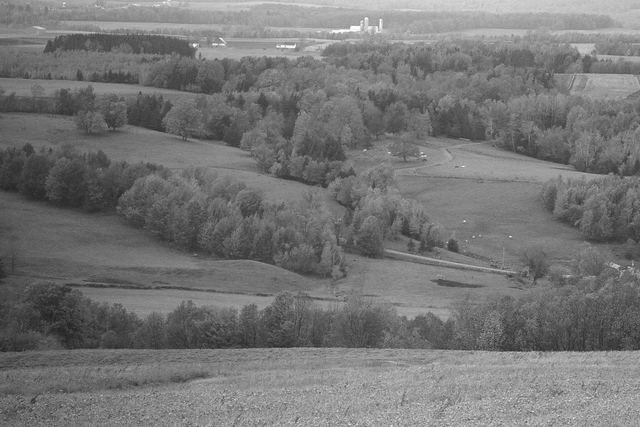 At a tender age, he worked for a local farmer, Mr. Hill and, in fact, named his farm Hillcrest in honour of his former employer. From 1841 to 1854, he worked in Boston, Mass. Amassing there sufficient funds, he opened his own shoe factory in Montréal in partnership with Samuel G. Smith. With the capital accumulated from this enterprise, he purchased his farm, Hillcrest, in Compton which eventually grew to more than 1,000 acres. 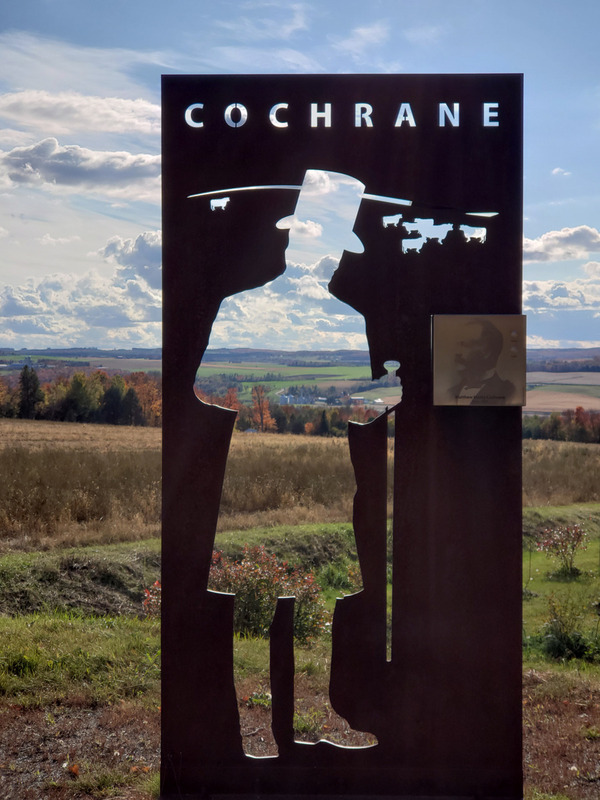 As a prospering landowner, Mr. Cochrane employed 40 people. He had constructed on the property a large number of buildings, including a dairy for the making of cheese. He also had built a race-track for his horses. In time, his livestock farm became a model of efficient organization and a source of pure-blood breeding animals. Amongst his acquisition of livestock, he had a beef herd, horse herd, and sheep and pork flocks. In 1870, he imported 63 pure-bred cattle directly from England and, as a consequence, owned the largest herd of any one person in the whole of Canada. As a businessman, he managed to sell some of his herd at prices hitherto unheard of. 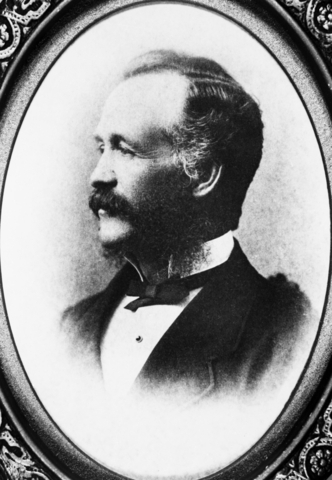 On October 17, 1872, he was appointed to the Canadian Senate and through his federal political connections he was able to acquire properties in the Canadian West. He instituted the second largest ranch in Alberta under the title of the Cochrane Ranch Company. In the meantime, he took on the directorship of a good number of companies; amongst them notably Tolley Finance and Canadian Meat & Produce. After his death the Cochrame Empire slowly fell apart.